The Dalai Lama identified himself as a Marxist on Tuesday while addressing capitalism, discrimination and violence at a lecture on world peace in Kolkata, India. 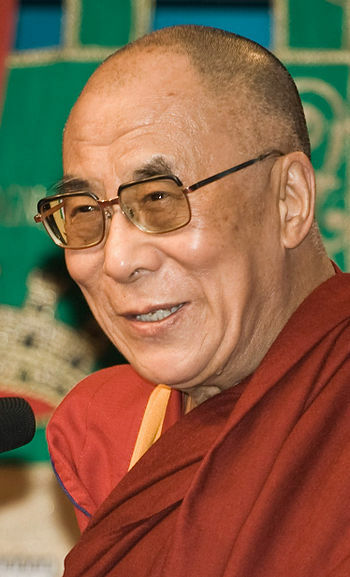 This is not the first time that the 14th Dalai Lama has spoken about his political leaning – in 2011 he said: “I consider myself a Marxist…but not a Leninist” when speaking at a conference in Minneapolis . . . The Tibetan spiritual leader partly blamed capitalism for inequality and said he regarded Marxism as the answer: “In capitalist countries, there is an increasing gap between the rich and the poor. In Marxism, there is emphasis on equal distribution,” he said. Hello, Dalai? An emphasis on equal distribution is not the same thing as equal distribution. In practice, there never seems to be equal distribution, because whoever gets to be in charge of actually distributing the goodies equally acquires a dictatorial level of power that would be wasted were it not used to make sure that most or all of the goodies get distributed to themselves and the people they like. This is followed by shortages, starvation and mass murder.